Electrical injuries are still responsible for significant morbidity and mortality; however, they are generally preventable with simple safety measures. This study Abstracts to determine the general features of electrical fatalities, and to draw attention of health professionals towards such preventable deaths. Materials and methods: A retrospective evaluation of records of electrocution-related deaths in Ankara, Turkey, was conducted over 11 years (1998-2008). Results: Out of 12,263 autopsy cases, 100 (0.8%) were secondary to electrocution. Most of the victims were male (n = 94; 94%) while only 6 were female. Victims&#8217; age ranged from 1 year to 76 years, with a mean age of 33.5 years. Entry lesions were localized on the upper extremities in the majority of cases (n = 74; 74%). However, no electrical lesions were found in 3 cases. Of all cases, 71 (71%) occurred as occupational accidents, mostly seen in workplaces. There was an increase in electrical fatalities in the summer (n = 58, 58%). Accompanying traumatic lesions were detected in 30 (30%) cases. All of the deaths were recorded as accidental except for one suicidal death. Conclusion: The overwhelming majority of electrical fatalities were occupational-related, which were mostly preventable. Proper installation and maintenance of electrical devices will help to tackle electrical injuries at home and in the workplace. Additionally, educational programs for workers and employers should be provided and public and occupational safety measures should be promoted by the authorities. ISNAD AKÇAN, Ramazan , KARACAOĞLU, Emre , KETEN, Alper , ODABAŞI, Aysun BALSEVEN , KANBUROĞLU, Çiğdem , TÜMER, Ali Rıza , ALKURT-ALKAN, Hanife . "Electrical fatalities in Ankara over 11 years". 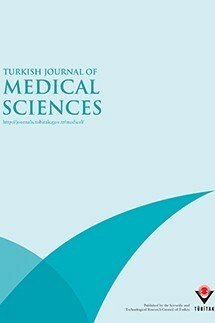 Turkish Journal of Medical Sciences 42 / 3 (March 2012): 533-538.